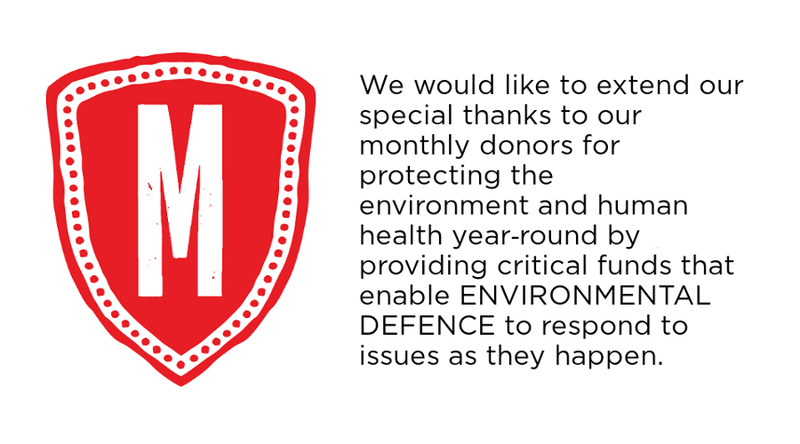 ENVIRONMENTAL DEFENCE thanks all of the individuals and organizations who generously supported our efforts between April 1, 2013 and March 31, 2014. Our work protecting the environment and human health would not be possible without you by our side. Thank you! Academy of Excellence Hairdesign & Aesthetics Ltd.
HLM Refrigeration & Gas Ltd.
Planit Connections Consulting Services Inc.